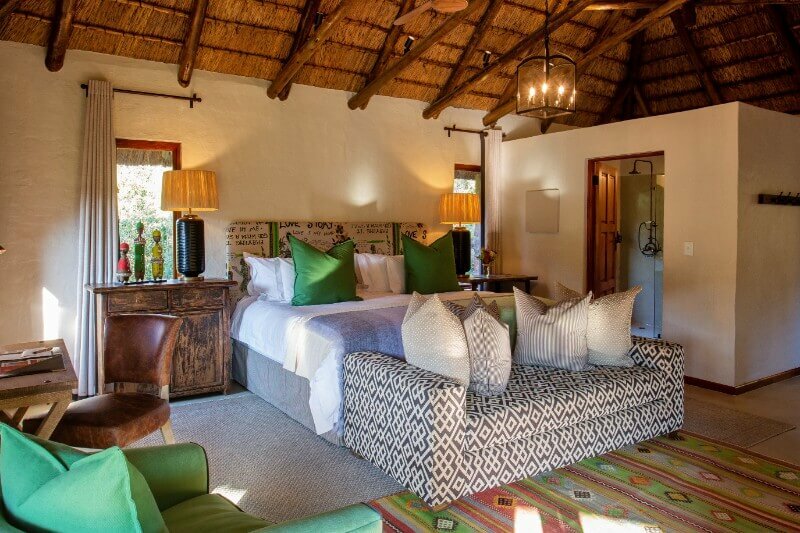 We can accommodate 3 adults in selected rooms – no single supplement for the 3rd guest. 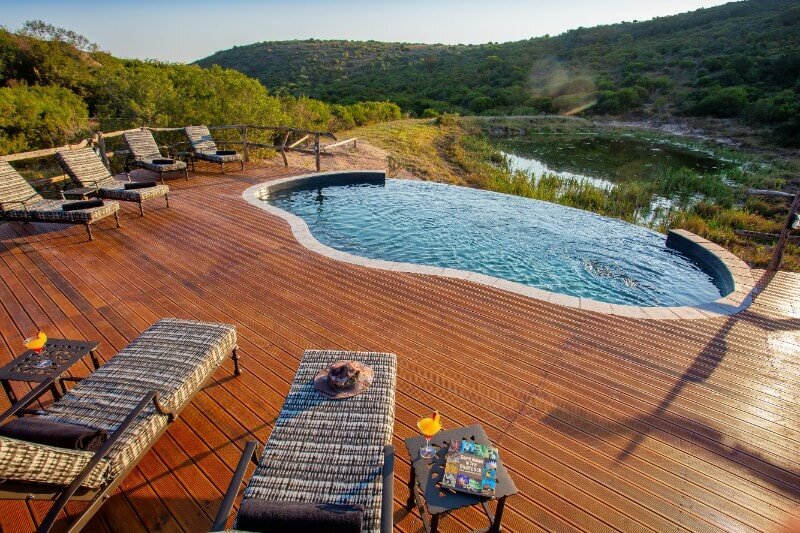 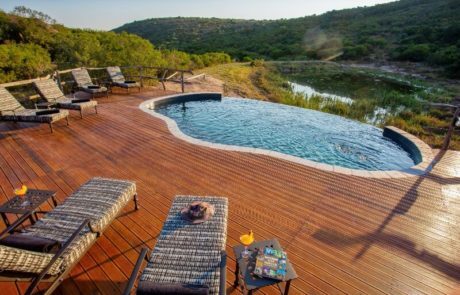 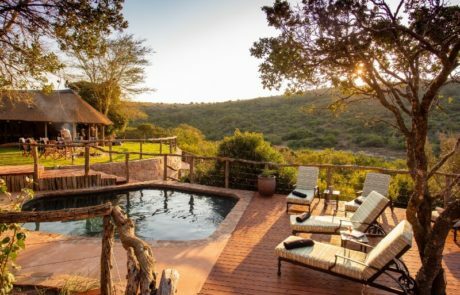 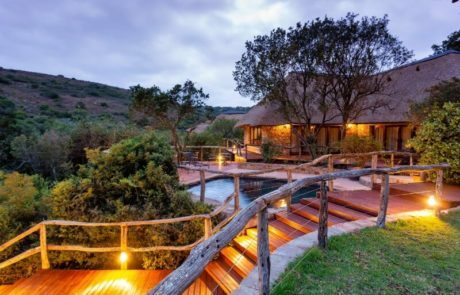 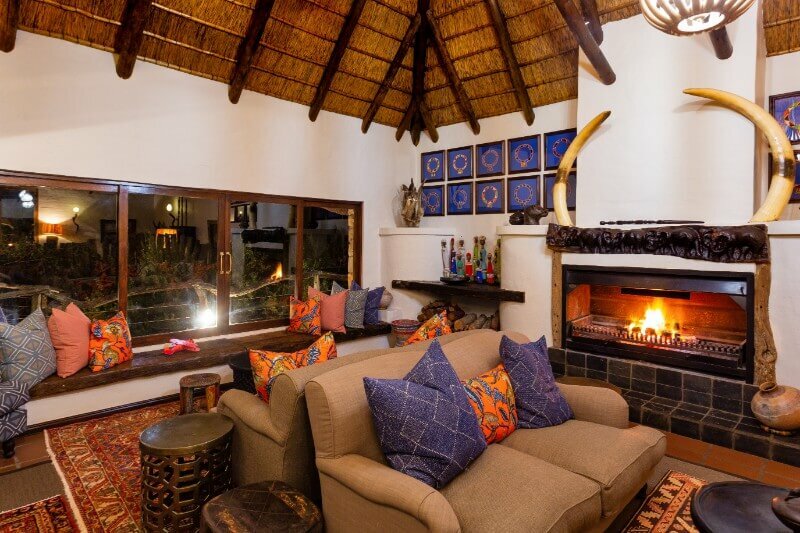 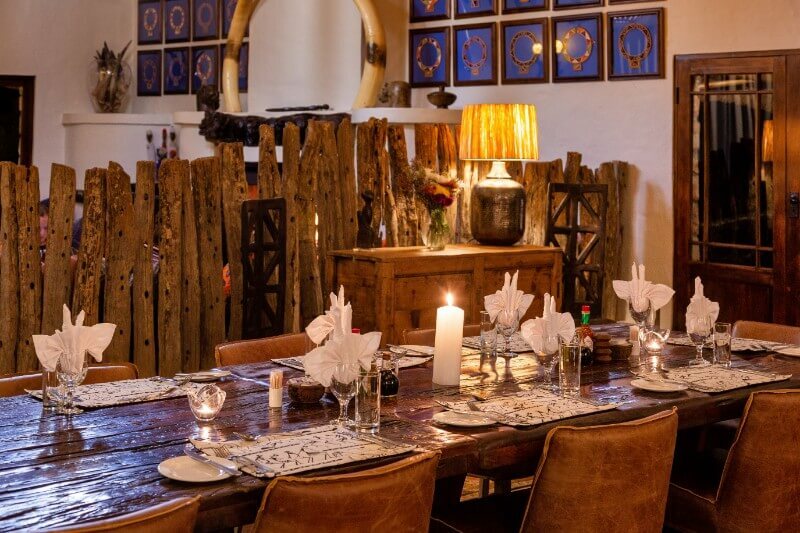 Mark’s Camp is our family-friendly lodge – it has 8 stone & thatch chalets, decorated in a relaxed Pan-African style, and it can accommodate up to 18 adults and 8 children. 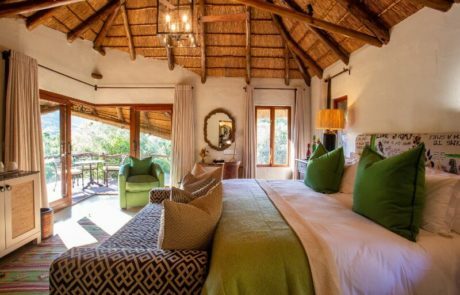 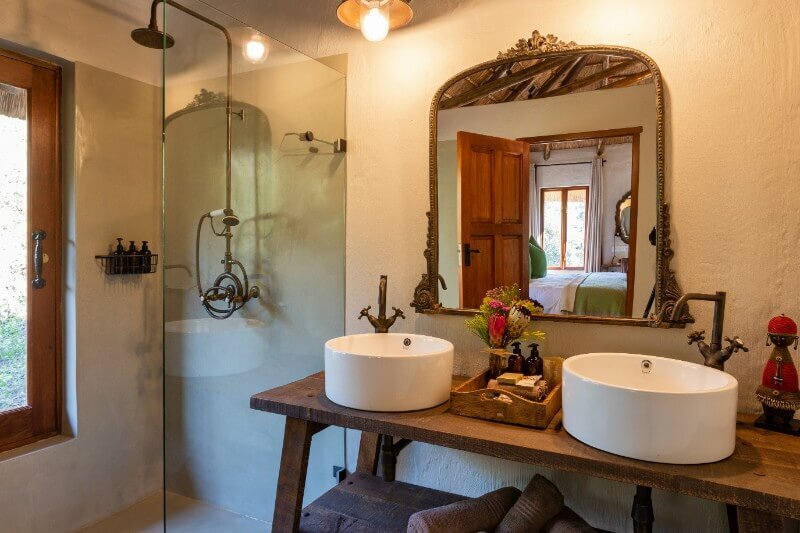 Each comfortably furnished chalet has an en-suite bathroom, air-conditioning and ceiling-fans for those warm summer nights. 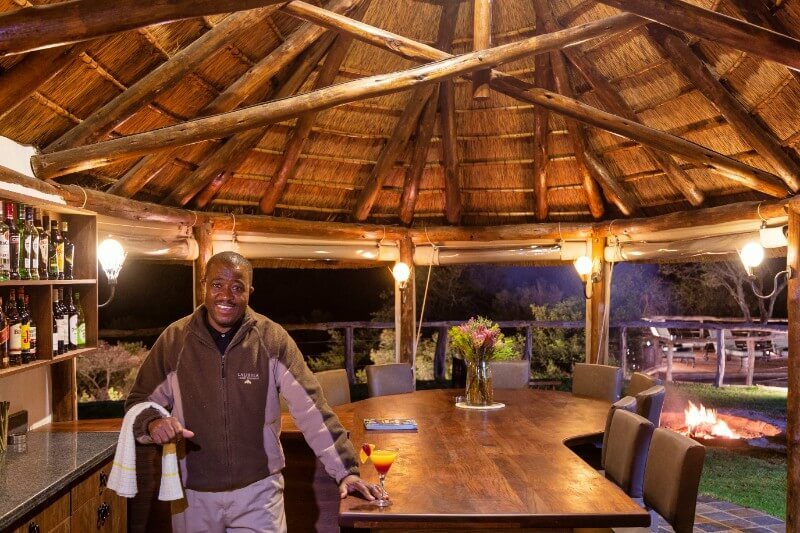 All of the chalets open up onto your own private viewing deck. There are 3 room types at Mark’s Camp: • 4 Standard chalets that sleep 2 adults • 3 Family chalets that sleep 2 adults and 2 children under 12 • 1 Family suite that has 2 en-suite rooms as well as a lounge area – the suite can sleep up to 6 guests One of the appealing features of Mark’s Camp is the abundance of birdlife which can be viewed from the rooms, pool deck (Mark’s Camp has two swimming pools) or central lounge area. 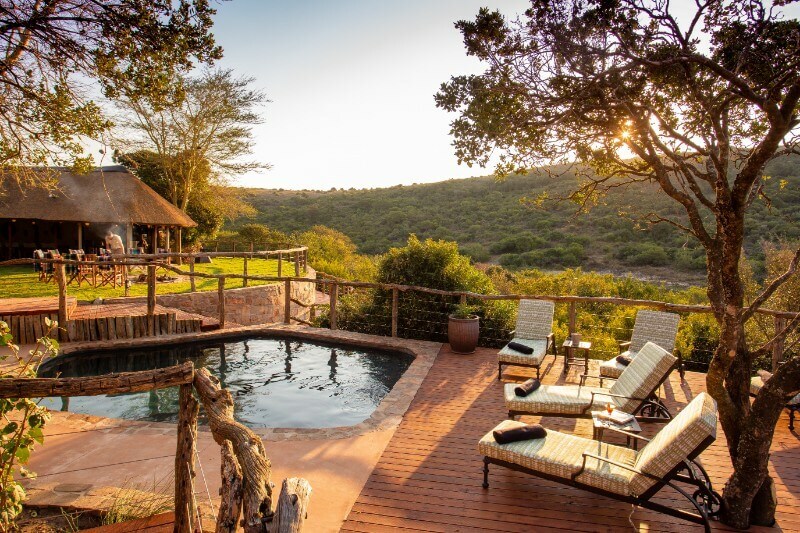 Blessed with a large waterhole in front of the lodge, it is not uncommon for guests to see antelope, giraffe, elephant and predators coming to the waterhole! Mark’s Camp has an outdoor dining “boma” for fireside dinners and open-air brunches, as well as a gracious indoor dining area. 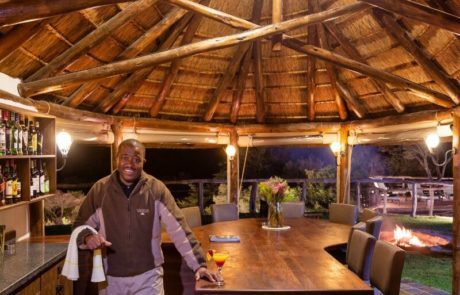 The overnight rate at Mark’s Camp includes accommodation, 2 game drives (evening & morning), all meals and all drinks at Mark’s Camp and on game drives. 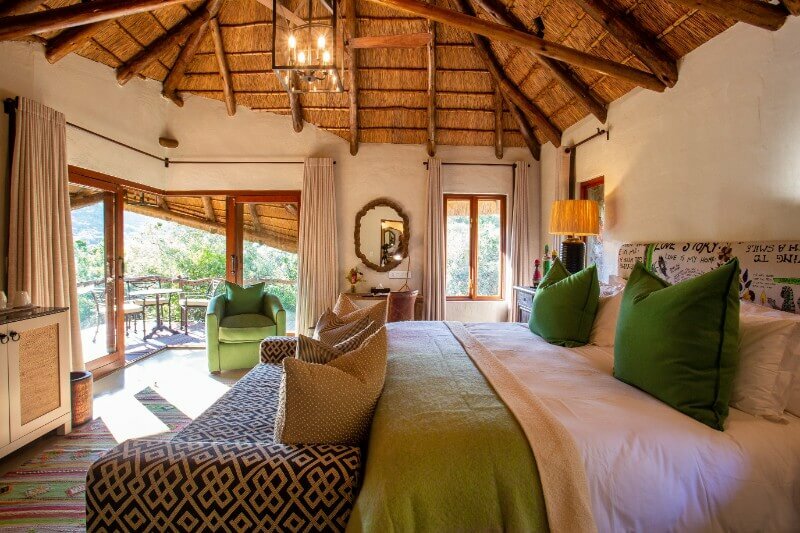 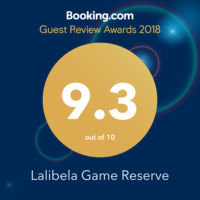 To get the most out of your safari experience we recommend that you spend 2 or 3 nights with us.